Have you stayed in a suite? 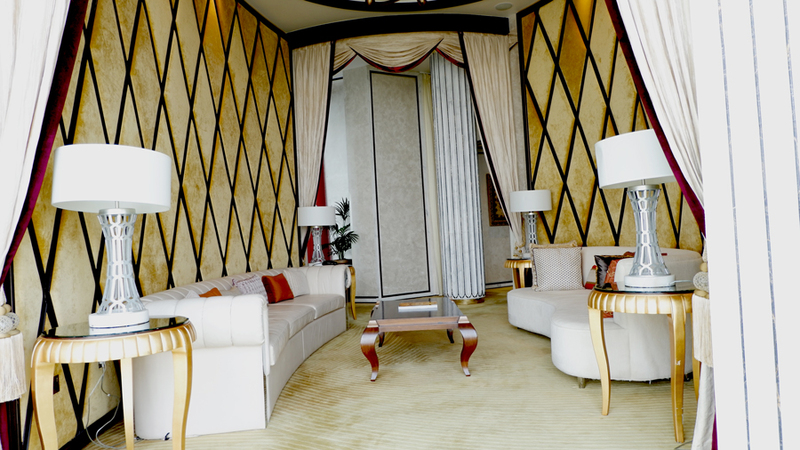 This suite from Abu Dhabi will blow your mind away. What suite is that huge? But there is one that set at over 200 metres from the ground - a massive one that is also the World's Highest Suspended Suite. I was in Abu Dhabi in April staying at the St. Regis Abu Dhabi. Though I have seen a couple of impressive presidential suites around the Middle East before, I wasn't mentally prepared to witness the magnanimity of this particular suite. Claimed to be one of the best Starwood Suites, and one where the rates start from AED 100,000, I can tell you I needed atleast a good 2 hours just to find my way around this suite. 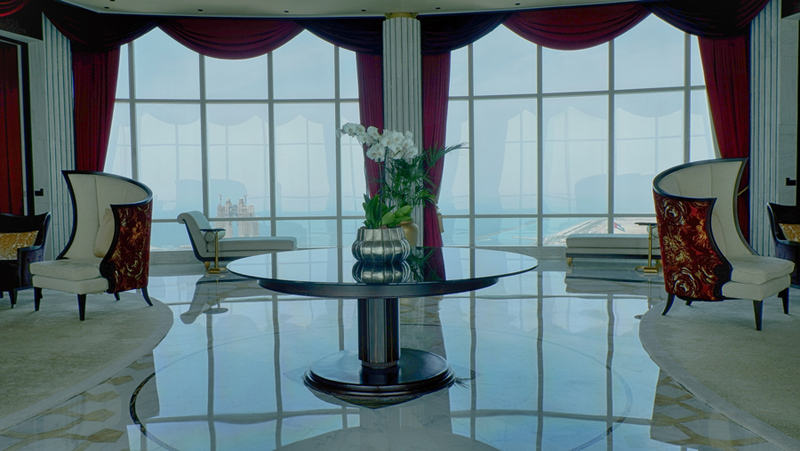 Welcome to the Abu Dhabi suite - the best suite I have stepped into. Let me take you on a visual journey, it isn't enough to describe it in words, and to see it in picture. You don't realize how magnificent this suite is until you have walked inside it with your own legs, and explored the corners with your own eyes, feeling what I felt, seeing what I saw! 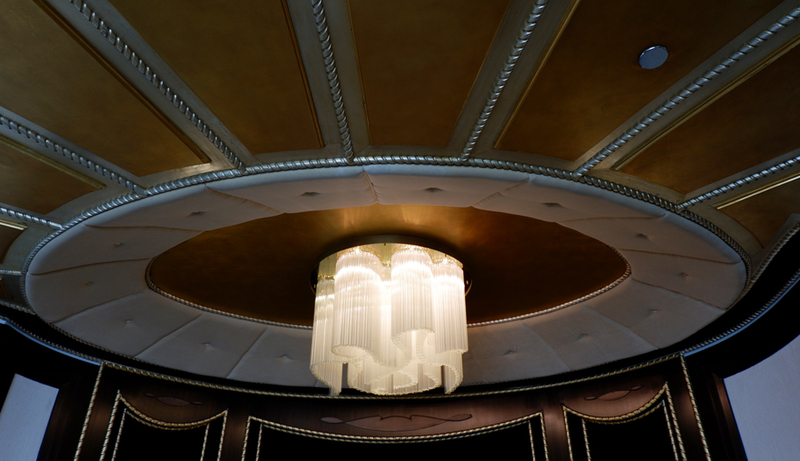 Let's have a closer look at that chandelier right there now! A little kitchenette somewhere in the suite. Obviously, the suite is so huge, I can't even explain exactly where its location is. As you can see, there are seats here so if you are by yourself, you can just dine there! Adjacent to the kitchenette is this little living area where you can sit and enjoy all the little preparations from the kitchen if you are with friends. The double height majlis - too massive to capture into a single picture atleast it tells me I need to get a new lens for my camera. My favorite part of the suite it was too. 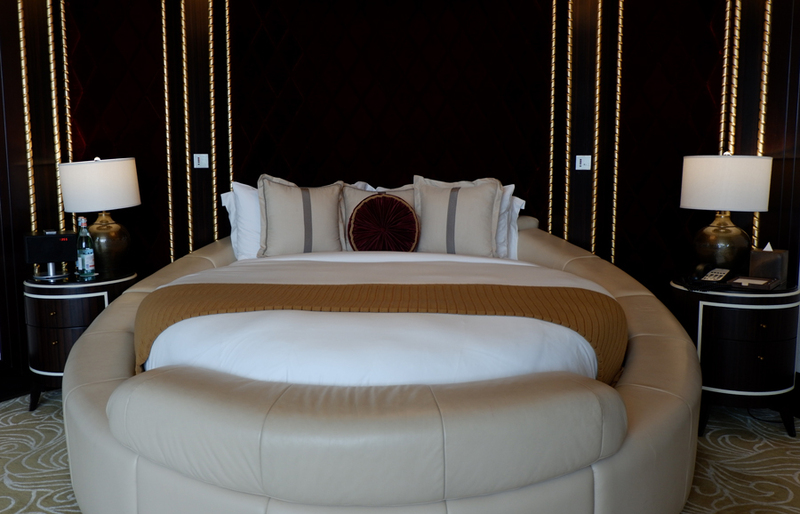 When you are tired exploring the suite, there are little corners where you can settle and take a breather! And, a much better living area right next to the master bedroom. Oh, atleast I remember exactly how I got in there. Because there wasn't anything I could just leave alone without clicking a picture. You ask me how shower areas can look this good? I ask you the same question back! 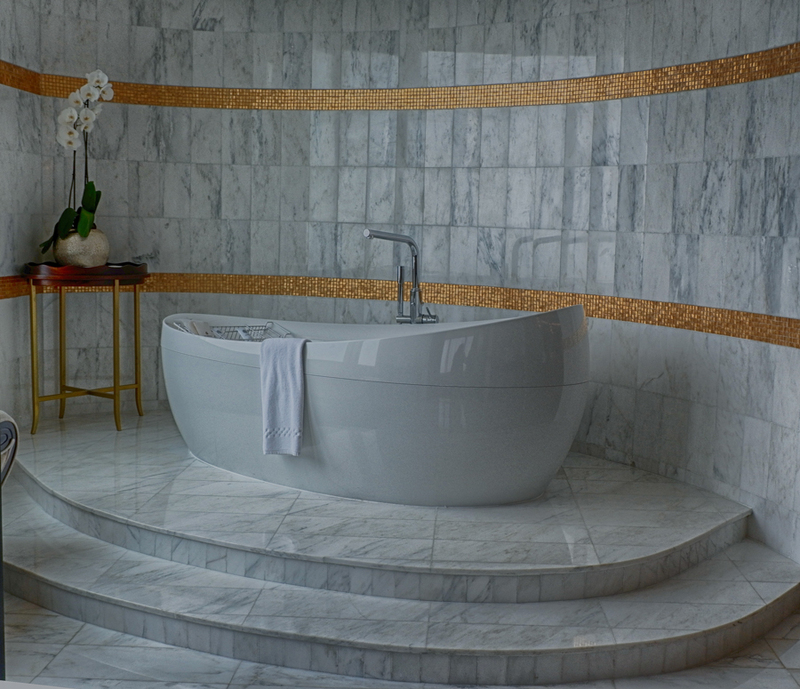 How gorgeous does this whirlpool bath tub look? Almost like a dream! Can't even come to terms with the fact that this picture came off my camera. That is not the only gorgeous bath tub they have. Here's another one! Perhaps this may change your mind again! Well, if you thought this bath tub was just meh-then here's another one that will keep you staring at it. 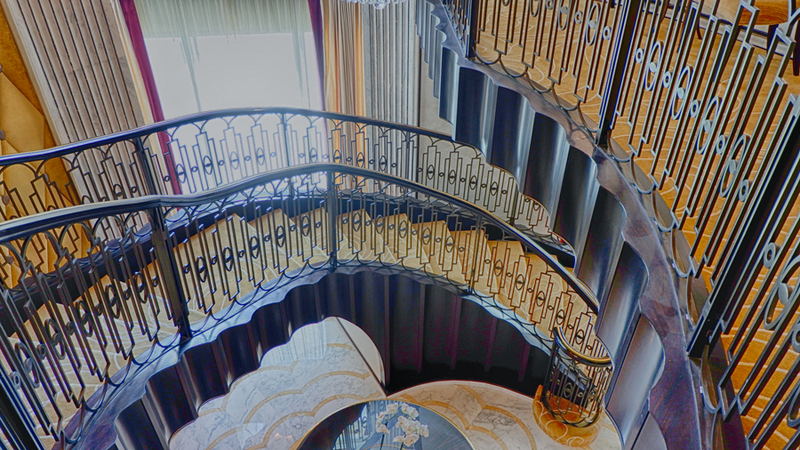 When simple details come together, and make everything look grand - that is this staircase area. That was the simple one. Well, there's a grand one too - regal in all ways. 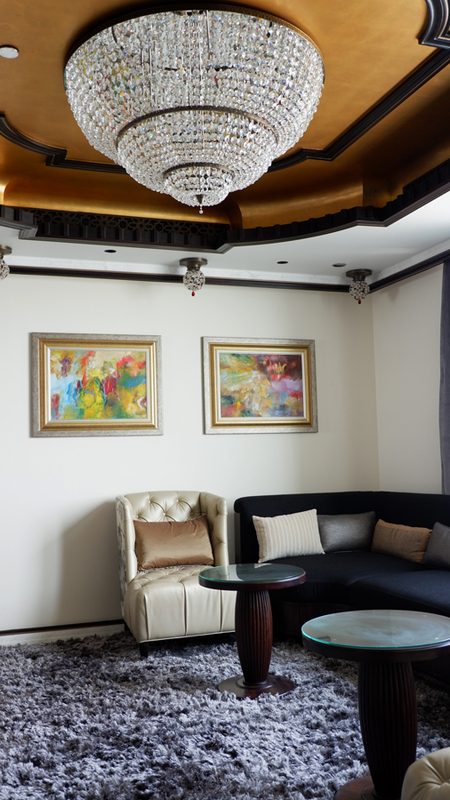 If you are someone like me appreciating beauty in every corner of the suite, this beauty of a chandelier will take a good few seconds to admire at. Tired now? So Am I! You can go to bed now in any of the bedrooms. Sweet Dreams! The missing chandelier that is right above this bed which you may want to turn off before you close your eyes. If you feel like you haven't seen enough, make sure you are following me on my social - www.instagram.com/creativitywithkay. If you have been to a better suite, let me know, and I will be more than happy to go seeking them. Until then, that's it from my side. Disclaimer: This post was done in collaboration with St. Regis Abu Dhabi. The pictures and opinions expressed are all my own. Travelling for Business to Dubai?